In multicellular organisms, not all genes are expressed in all cells, meaning that not all cells make the same enzymes or proteins, and therefore, not all cells have the same metabolism. This differentiation is a key process across multicellular organisms, including plants and fungi. But as cells specialize, they become unipotent, meaning that they lose the ability to form multiple cell types. For a long time, scientists have tried to reprogram mammal cells for pluripotency by drastic means such as nuclear transfer and induction of transcription factors. However, plants can acquire the same regenerative powers via external signal input such as hormones and stress. A part of the phenomenon is regulated by epigenetics, because these modifications are epi or "upon" the genes. 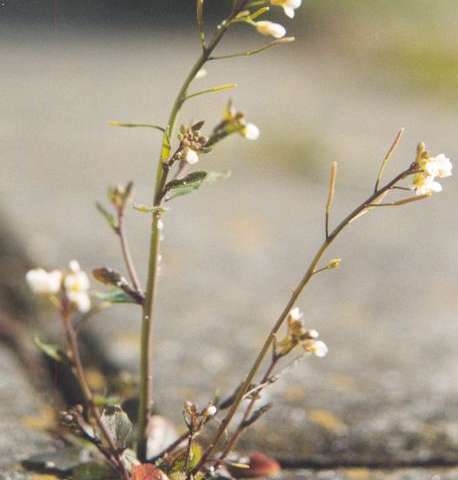 Professor Matsunaga and his team used Arabidopsis thaliana, a small flowering plant commonly used in plant biology, to study genome-wide histone modifications. Histones are proteins that package together eukaryotic DNA, preventing it from being transcribed or decoded. Upon modification, however, these proteins' grasp around the DNA molecule loosens, making it easier for the DNA to be transcribed. The group of scientists found that it is the demethylation (the removal of a methyl group from the amino acid) of the histone H3 by the LDL3 enzyme that lends regenerative competency to the plant. This epigenetic mechanism allows the plant's pluripotent cells to go back to its unipotent state and thus assume the identity of shoot meristems for differentiated tissues including leaves and stems. Also important to the companies financing this kind of research, no seeds means no competition of others growing your product without permission.